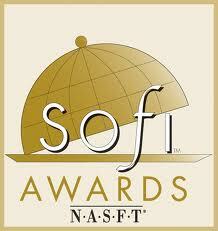 Getting ready to go to Washington DC, to attend the Fancy Food Show and to celebrate Pasta Faella, SOFI finalist as best product of the year. Their panel of food experts chose among nearly 2,000 products in 30 food categories. In the Pasta category, they chose Faella pasta, which is an incredible accomplishment. How many brands of pasta are out there??? Is this an indication that Pasta Faella is really really good? As you can read on the Nasft website, here: Made artisanally by the Faella family since 1907 in legendary pasta birthplace Gragnanao, Pasta Faella has outstanding rich grain flavor and a porous texture that makes condiments cling beautifully. It’s air-dried for at least two days, bronze die extruded and made with only the best durum wheat flour and local Lattari Mountains spring water. Hopefully we got the instructions right and we’ll win!